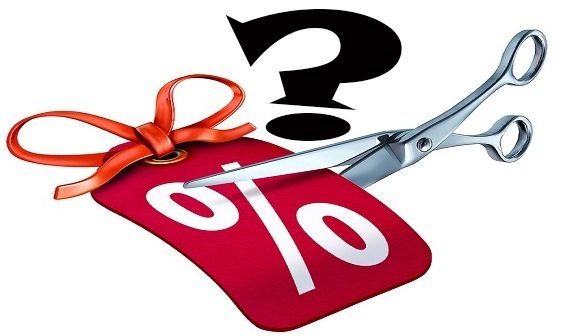 The interest rate cut following the reduction of the Overnight Policy Rate (OPR), though seems to be good news for house buyers, will not contribute much to the market as the real problem is not the interest rate but the lending liquidity. According to Kenanga Investment Bank Bhd’s Head of Equity Research, Sarah Lim Fern Chieh, Bank Negara Malaysia (BNM) will need to address lending practices, such as loan assessment methods, loan-to-value caps, and valuation of properties, to ease the lending liquidity. Speaking at the Malaysian Property Summit Mid-Year Review 2016, Lim said that the loan rejection rates for the affordable housing segment, with pricing below RM500,000, stood at 30 per cent, compared to just 17 per cent in the upscale market of RM750,000 and above. She said that banks also appear to be ‘reducing’ exposure to property related loans. “Although the property loans applied and approved rates have both been on a declining trend, the rate of approval is still far less and the applied rate,” she said. She noted that the current Malaysian property market down cycle could last longer than usual due to these liquidity-driven factors. PPC International Sdn Bhd managing director Datuk Siders Sittampalam said the reduction in cost of borrowing will not drastically improve the residential property sector as lending guidelines are still stringent. “If we look at the figures, only about 40 per cent of loans were approved. Lending guidelines continue to be stringent, so by reducing the cost of borrowing, it only benefits those who are already committed to financing,” Sittampalam said. “However, the rate reduction would probably assist in reducing, or at least preventing further increase on, non-performing loans,” he added. On the other hand, Valuation and Property Services Department (JPPH) director-general Datuk Faizan Abdul Rahman said that the cut in interest rate would be good for the local property market. “Interest rates will be reduced and the terms of borrowing will cost less for buyers,” he said. Referring to the property market, Lim added that house buyers and developers will have to do more homework when buying or selling homes as a combination of choice locations, price points and concepts becomes even more critical in challenging times. “House buyers may need to take a longer view as rental yields and capital appreciation are not favourable currently. Developers may need to hold land for longer than expected,” she said. According to JPPH, the property market will continue to trudge along on last year’s downtrend following the uncertain economic scenario including the slowdown in China’s economy. Faizan said although the property sector may see some moderation in market activity, the slowdown would still be manageable especially for the residential sub-sector driven by the supplies of affordable housing projects. “We expect to see a price correction and slow growth in the house price index due to the supply of affordable housing by both the public and private sectors,” he said. He said, overall, property prices remain higher but at a slower growth rate, causing property developers to launch fewer projects. Faizan also said that the house price index has steadily declined since 2012. In 2012 and 2013, the house price index was double-digit but it had gone down to single-digit in 2014 and 2015. In the fourth quarter of 2015, the index fell to 7.2 per cent from 8.0 per cent in the same period in 2014. Last week, P360 reported that the residential market will remain flat, not only in the second half of the year but for a period beyond it. Managing director of valuation firm Khong & Jaafar Sdn Bhd, Elvin Fernandez, said that despite the ‘flat-line’ which is largely due to global factors as well as domestic economy, conditions can still be considered relatively good. “So long as we do not witness a further drop… but given the current scenario, an increase is unlikely,” he said. The slowdown in the market in 2015 continued in the first half of 2016 and is expected to remain in the second half. National Property Information Centre (Napic) data shows that the rate of increase in index points have been declining since 3Q13, from 12.2 per cent year-on-year growth to 7.4 per cent in 3Q15 and 7.2 per cent in 4Q15. Faizan said the preliminary growth for 1Q16 is 6.8 per cent, and it can still be considered “healthy” if the rate is kept within the region of 3 per cent and 5 per cent.